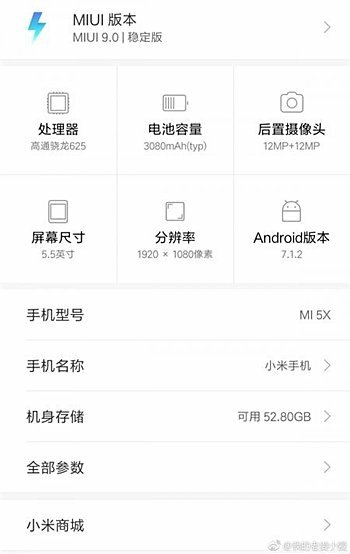 A new Xiaomi device started receiving the MIUI 9 update recently. The Mi 5X is the latest to get the latest OS vers. The update is currently only hitting Chinese units though. There's currently no information on whether or not Mi 5X units outside of China have also started getting this update, although it seems less likely given the global roll out of the MIUI was just announced, and the smartphone is not in the initial list of devices that are set to get the update. Mi 5X owners in China, who haven't received the update yet, should expect the notification to pop up on their units in the coming days. miui 9 global on mi5x? Indonesia, Redmi Note 4. Got MIUI 9 today. I have been running the beta on Mi4c and it has split screen option.